Every employee wants to be heard. They want management to listen to their opinions and treat them as an equal. At Google, that's exactly what you'll get. 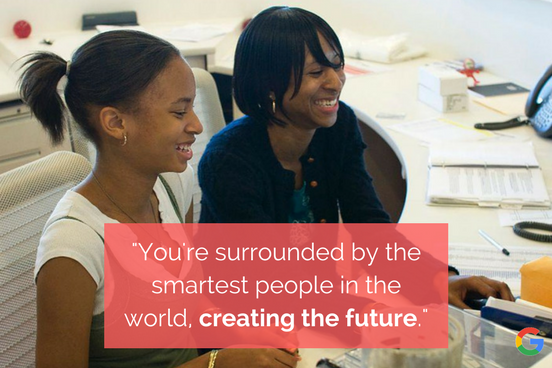 You'll be trained at every point in your career and given the tools and resources you need to make your own decisions. Imagine going into work every day to be with some of the brightest minds in the business. 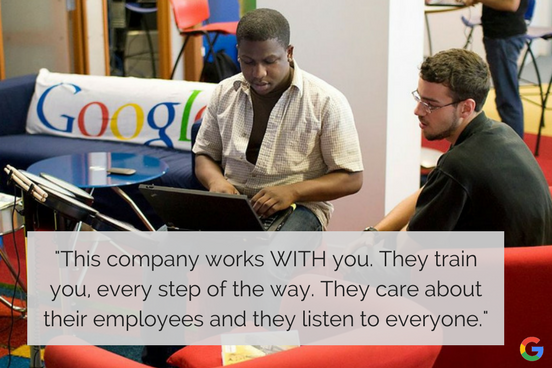 According to one Glassdoor review, "The people that work at Google makes coming in everyday enjoyable. Folks care about their work and are very self motivated." The people who work at Google are constantly pushing the needle further to improve the business and helping each other be better professionals. 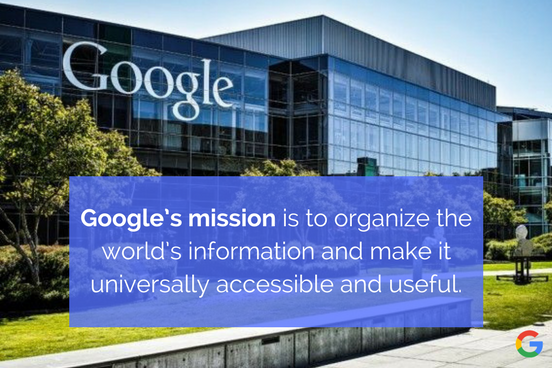 Google offers the world a product and service that impacts billions of people and helps connect people from all over the globe. Its mission is to offer information in an easily accessible way to its users. Unlike other successful organizations, as it continues to grow, it's committed to maintaining a "small-company feel." In order to maintain that tight-knit atmosphere, Google offers many opportunities to its employees so they can have fun on daily basis. 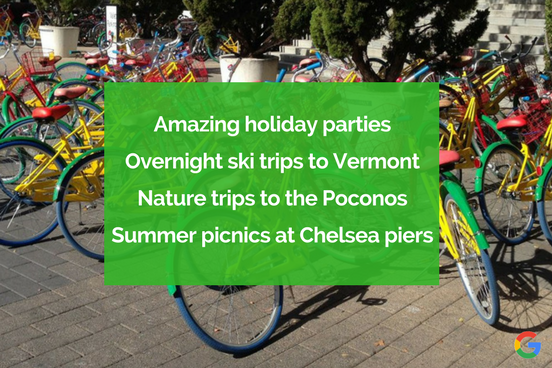 It offers bikes, pool tables, and foosball - to name a few fun perks. 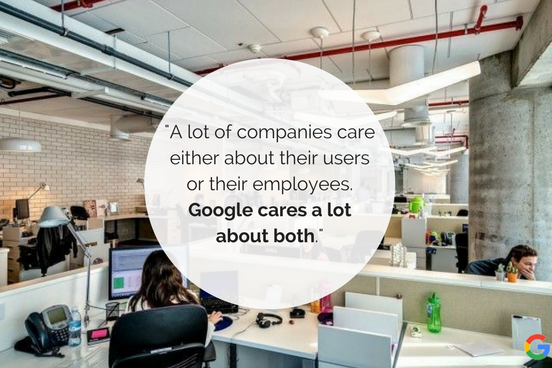 Google knows the importance of making sure its employees have fun while doing what they love!